The Golden Path leads past the offices of Camp Henry Horner and a rental agency, down an antiseptic corridor done in granite and janitor pink, and leads finally to a glass door announcing Irene F. Hughes, ESP. By Appointment Only. The woman who opened the door looked as if perhaps she should be renting things or planning activity time at Camp Henry Horner. But Babe Ruth didn't look like a ball player, and so I followed Mrs. Hughes, slim, with tinted hair, attractive, in her late 30s, past a reception desk and into her office. 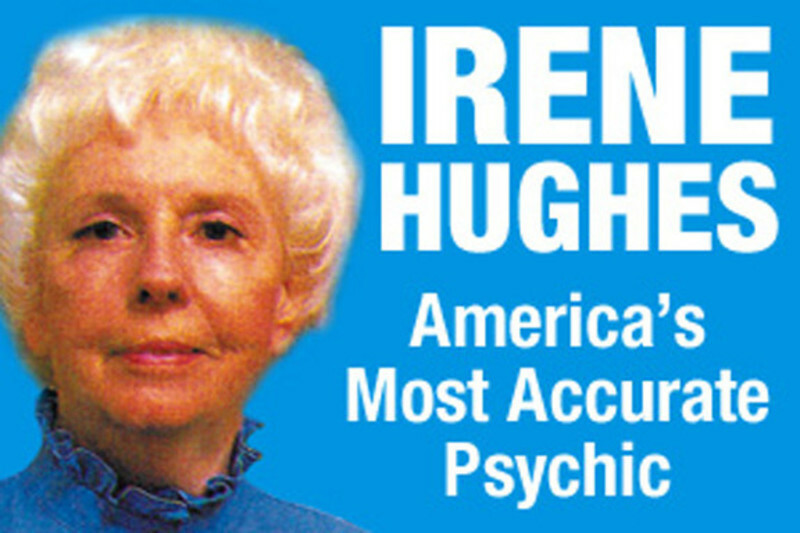 Chicago's own resident psychic looks otherwise like a Chicago Heights housewife, which she is. "People expect, oh, I don't know what," she said, "but the fact is I'm perfectly normal except for my ESP abilities. For that matter, everyone possesses ESP ability, so there you are." Mrs. Hughes first became aware of her psychic gifts at the age of 4, when the fairies took her up into the attic, but it was not until 1959 that she set up shop in a professional sort of way, and she has been in her Loop office with adjoining classroom only since 1963. "Sometimes it has been a little wearying," she said in a modulated voice with something of Tennessee in it. "Every time something happens, the people in Chicago call You-Know-Who, but actually my predictions are much more accurate. Now don't get me wrong. I know Jean Dixon, and I consider her to be a great woman. This is not a field in which we have competition, after all. But, well, I have been more accurate." But accuracy did not immediately bring success, and while You-Know-Who's book sold swiftly in Chicago bookstores, Mrs. Hughes remained a prophet without honor in her own city. Of her 25 predictions for 1966, 18 proved correct (among other things, she foresaw that Mayor Daley would run again, that white Southerners would demand "equal rights," and that Quebec would agitate for self-government). But the public did not get much excited. And then, last Jan. 3, Mrs. Hughes was spectacularly accurate on one momentous prediction, and Chicago could at last hail its own psychic. She predicted that Chicago would experience its worst blizzard on Jan. 26-29, and that another big snowfall would come a week later. Nonetheless, Irene Hughes found herself at the University of Illinois Chicago Circle Campus on the night of the 26th, every bit as snowbound as Harry Volkman. "l could have kicked myself," she confessed. "I knew I should have stayed at home." Ordinarily, she does follow her instincts. "When I was 9," she said, "I stood on our farm in Tennessee and told my mother, 'Some day I'll go to Chicago and live, and I'll marry a man from Michigan.' My mother said, `Nonsense, child, Chicago is on the other side of the world from here.' But here I am - in Chicago, and married to a Yankee from Michigan." The fairies took Irene Hughes up into the attic when she was 4. "I was standing in the kitchen of our little farm home in Tennessee," she recalled, "and I looked up the ladder into the attic hole, and saw a fairy-like creature. Well, I had felt all along that there were people up there. The creature smiled, motioning me up, and as I began to climb the ladder I felt that I was floating. "In the attic, there was a man standing beside the fairy. I knew instinctively that he was a spirit, not of this world. The two of then told me I would see Lucy, the colored woman who worked for us, and that she would give me some jewelry. They also said I would receive a doll. "Later that afternoon, I walked over to Lucy's house. She was sick in bed, and she said she wanted to give me some jewelry before she died. She gave me a string of brass beads, which must have meant a great deal to her. And the next day, two neighbor girls came over and gave me their doll, which they had outgrown." Mrs. Hughes sat in silence. "You know," she said finally, ''those were just the sorts of signs that would have been appropriate for a 4-year-old. And then my mother encouraged me, when I told her what had happened. She said that was natural, and good. Ever since then, I have actually known my own life and the lives of those around me." Mrs. Hughes sat surrounded by an electric typewriter, a desk piled high with correspondence and newspaper clippings. and shelves of books, including a Bible dictionary, "The Crisis in Psychiatry and Religion." and the Speaker's Handbook of Humor. A card table, decorated with gold symbols, occupied one corner, and next door was a classroom with a dozen chairs, a desk, a sign of the zodiac "although I'm not an astrologer and not a spiritualist either") and a picture of Christ. The classroom is for Mrs. Hughes' ESP instruction, and the card table for personal consultation. No peace in Vietnam this year. Tremendous flooding in Chicago near the end of February, with the river going over its banks and into Marina City. President Johnson in health trouble by the end of the month, and obviously in ill health by May. George Romney elected President in 1968, with Mark Hatfield as vice president. Mayor Daley re-elected in a landslide. Charles de Gaulle disappearing from the scene. Peace coming to Rhodesia in October, with Britain's Harold Wilson backing down. Earthquakes shaking California this year, leading up to a cataclysmic earthquake in 1979 that will cause great loss of life and land. Because she had predicted President Johnson's ill health on a Chicago radio program, I asked her point-blank if she foresaw the President's death. "No, no, not at all," she said quickly. "But he will not choose to run again. The Democrats will come right to the brink of nominating Robert Kennedy, and then switch to someone else." I asked who, and Mrs. Hughes smiled. '"I don't want to get into that," she said. "I can get shot down that way. The fact is, I'm not very good at predicting sports events, and sometimes politics, because my personal desires get into the way. I was a darn good baseball pitcher when I was a girl, and I get all involved in the competition. For example. I predicted Sen. Paul Douglas would be reelected. even though I clearly saw Charles Percy with his hands clasped in victory, only because I consider Douglas a great man, and believe he should be allowed to die in office." While I made notes, Mrs. Hughes turned in her chair and looked out the window at the snow-filled sky. The sight must have given her cheer, because she has also predicted that the current snow cycle will continue until 48 inches accumulate. As of Wednesday, 38.1 inches had fallen since the start of the great Jan. 26-27 storm. She turned back and looked directly at me. "Will you get this article written before you leave?" she asked. "I sense a trip when I look at you," she said. "A trip of about five to seven days, I see the numbers 5 and 7 flashing. It is scheduled for the near future." "I feel desert and water. Phoenix? No, but you will go over Phoenix. Now i feel the Water more strongly. It's California, isn't it?" "Well, I'll be damned. You're right." Mrs. Hughes smiled, clasping her hands in the attitude of the "Hands in Prayer" sculpture on her desk. I asked her if, uh, she saw anything else. "I see a girl in a bridal gown and veil," she said, and then laughed quickly at whatever was reflected on our face. "Oh, no, you won't be married right away. She's standing on the other side of you. Beth. Beth. Does Beth mean anything to you?" I confessed ourselves unable to summon up so much as a single Beth of any significance from out of my past. "I think she is a girl you knew once. perhaps not very well, but you will meet again and this time it will be different," she said. "What else do I see? I see you leaning toward a foreign country, a place you spent more than a year in once. You would like to go back for a visit. And then, in the future, I see you on an island. I see you with your favorite drink and somebody to philosophize with. You like to philosophize. And I see you with a pipe in your hand." "Well," I said, "that's not bad. I did spend a year in Africa, and I'd like to go back sometime. And I do have this kind of romantic dream about living in Ireland for awhile, and that's an island, and I do like to philosophize, especially with my favorite drink in hand. But you're wrong in one thing." "What's that?" Mrs. Hughes asked. "I don't smoke a pipe." "Not yet, she said, and sweetly smiled.